The celebrity cast of season 22 of ABC's “Dancing With the Stars” was officially announced on “Good Morning America” on Tuesday and the lineup features an eclectic group of stars, including football legend Doug Flutie, outspoken journalist Geraldo Rivera, actress Mischa Barton and TV personality Marla Maples, who is the ex-wife of Republican presidential nominee Donald Trump. The 12 celebrities appeared live in “GMA”’s Times Square studio alongside the dance professionals who'll teach them how to tango this season. The celebrities are stars of music, media, television and sports. Barton made her screen debut as a child but shot to fame playing Marisa Cooper on the teen drama, “The O.C.” Maples has appeared in the films “Executive Decision” and “Maximum Overdrive,” and has had several guest-starring roles on television. Rivera is a talk show host and an award-winning journalist with more than 40 years experience in the news business. “Full House” actress Jodie Sweetin and “GMA” meteorologist Ginger Zee were previously announced as cast members. Sweetin made a name for herself playing Stephanie Tanner in the hit sitcom “Full House” and reprised the role in the spin-off, “Fuller House,” which premiered on Netflix last month. Zee gave birth to her first child, a son named Adrian, in December. She plans to return to “GMA” from maternity leave on March 14. The celebrities weren’t the only ones in the spotlight. Edyta Sliwinska, a fan favorite who appeared on the first 10 seasons of the show, will return to partner up with Rivera. Other fan favorite dance pros Karina Smirnoff, Tony Dovolani, Mark Ballas, Val Chmerkovskiy and Peta Murgatroyd are also returning to the ballroom. 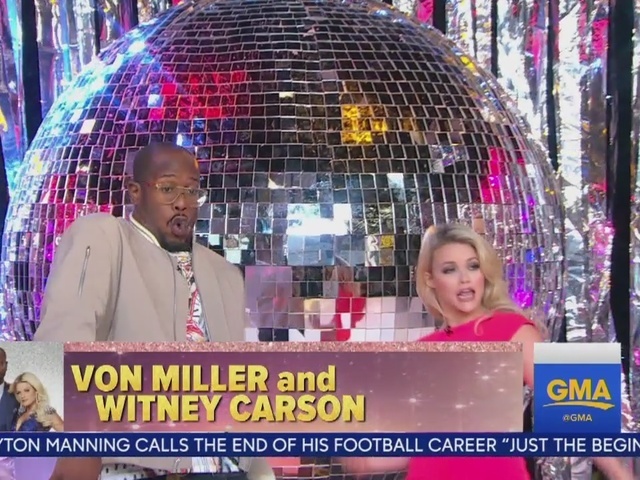 The new season of “Dancing With the Stars” premieres at 8 p.m. Eastern time on March 21. Watch it here on Denver7.